Last week, National Car Rental announced a new car to its "Premier Selection" – the all-new Maserati Ghibli S Q4. So we figured, what were among the five coolest, most exotic, most luxurious rentals on the market? Well, here you go. A quick note: These pups are most definitely not in the $49.99 per day/unlimited mileage category. 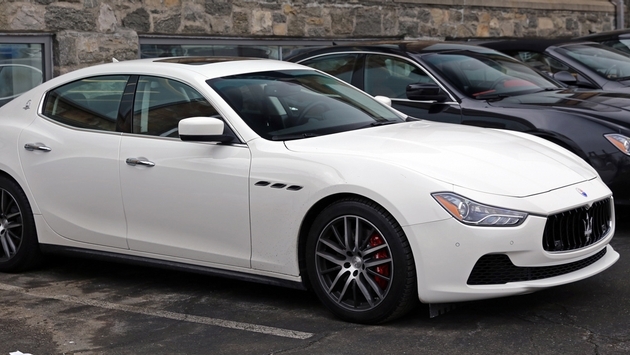 5) Well let’s start with the Ghibli, Maserati’s first-ever midsize four-door luxury sports sedan. It’s now now available at 10 National airport locations in Boston, Fort Lauderdale, Los Angeles, Minneapolis, Nashville, Orlando, Phoenix, Raleigh-Durham, San Diego and Seattle. 4) In the Hertz Dream Car collection is the Lamborghini Gallardo Bicolore. The Bicolore is a special edition of the Gallardo featuring unique two-tone paint, a rear-wheel-drive powertrain, and exclusive rims and interior appointments. 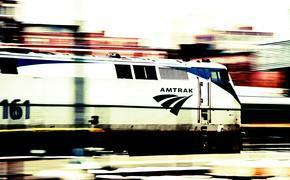 It starts at $1,200 a day and available only in Florida locations – Fort Myers, Miami, Orlando, Naples and West Palm Beach. 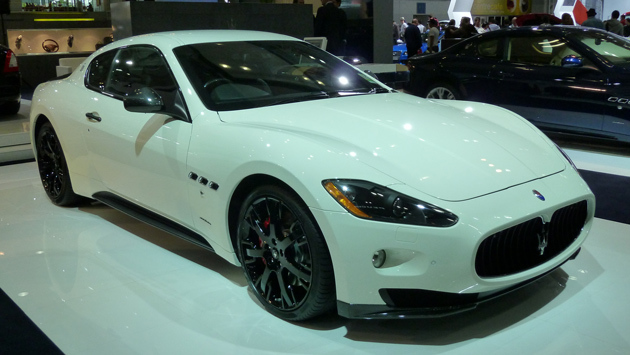 3) From Enterprise, the Maserati GT Coupe. The Maserati GranTurismo is the first modern, two-door, four-seater coupe, Maserati’s new take on a classic touring coupe. Currently only available in Atlanta and Houston. 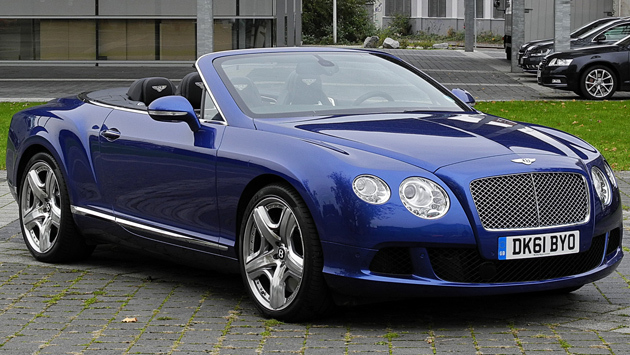 2) Bentley Continental GT Convertible, also from Enterprise. A Bentley. A Bentley! Available in Las Vegas, Encino (Calif.), Los Angeles, Newport Beach (Calif.), Palm Springs (Calif.), Pasadena (Calif.) and San Diego. 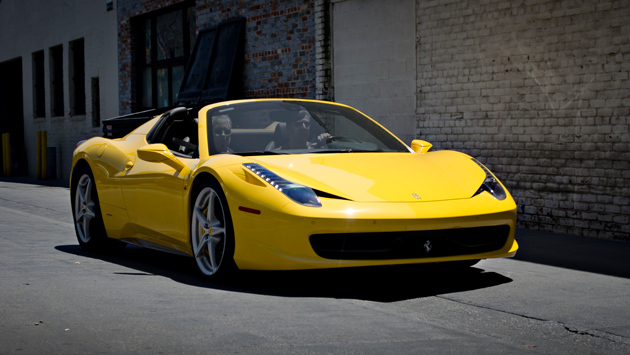 1) Ferrari 458 Italia Spider. Well, this one might be the top of the line. Actual retail price? $335,000. This one is available at a niche car rental company, Gotham Dream Cars in New York.